ST. LOUIS, MO -- A Missouri jury has awarded $72 million to the family of an Alabama woman who died from ovarian cancer, which she said was caused by using Johnson & Johnson's well-known baby powder and other products containing talcum. The civil suit by Jackie Fox of Birmingham was part of a broader claim in the city of St. Louis Circuit Court involving nearly 60 people. Her son took over as plaintiff following his mother's October 2015 death at 62, more than two years after her diagnosis. Marvin Salter of Jacksonville, Florida, said his late mother, who was a foster parent, used the iconic talcum powder as a bathroom staple for decades. "It just became second nature, like brushing your teeth," he said. "It's a household name. " A Fox attorney said the jury verdict Monday night, which came after nearly five hours of deliberations at the conclusion of a three-week trial, was the first such case among more than 1,000 nationally to result in a jury's monetary award. The jury said that Fox was entitled to $10 million in actual damages and $62 million in punitive damages. Attorney James Onder said he "absolutely" expects Johnson & Johnson - the world's biggest maker of health care products - to appeal the verdict. The New Jersey-based company previously has been targeted by health and consumer groups over possibly harmful ingredients in items including its iconic Johnson's No More Tears baby shampoo. In May 2009, a coalition of groups called the Campaign for Safe Cosmetics began pushing Johnson & Johnson to eliminate questionable ingredients from its baby and adult personal care products. After three years of petitions, negative publicity and a boycott threat, the company agreed in 2012 to eliminate the ingredients 1,4-dioxane and formaldehyde, both considered probable human carcinogens, from all products by 2015. Spokeswoman Carol Goodrich said Tuesday that the New Jersey-based company was considering its next legal move. In a written statement, she said the verdict "goes against decades of sound science proving the safety of talc as a cosmetic ingredient in multiple products," citing supportive research by the U.S. Food and Drug Administration and National Cancer Institute. At trial, Fox's attorneys introduced into evidence a September 1997 internal memo from a Johnson & Johnson medical consultant suggesting that "anybody who denies (the) risks" between "hygenic" talc use and ovarian cancer will be publicly perceived in the same light as those who denied a link between smoking cigarettes and cancer: "denying the obvious in the face of all evidence to the contrary." Talc is naturally occurring, mined from the soil and composed of magnesium, silicon, oxygen, and hydrogen. It's widely used in cosmetics and personal care products, such as talcum powder, to absorb moisture, prevent caking and improve the product's feel. Nora Freeman Engstrom, a Stanford University law professor not involved in the Missouri case, said it's unlikely the $72 million award will survive, noting that the U.S. Supreme Court, in a recent series of rulings, has maintained that appellate courts clamp down on punitive damages. "Big jury verdicts do tend to be reined in during the course of the appellate process, and I expect that to be the case here," she told The Associated Press. 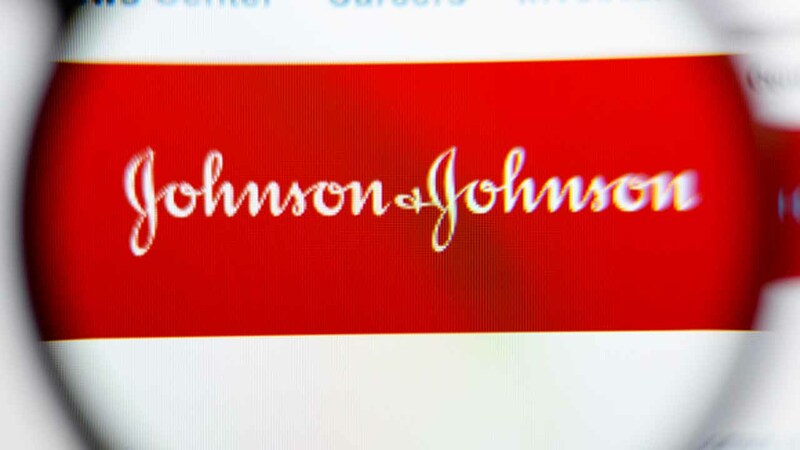 The verdict Monday "doesn't bode well for Johnson & Johnson" as it faces at least 1,200 still-pending lawsuits and possibly thousands more, she said. "This case clearly was a bellwether, and clearly the jury has seen the evidence and found it compelling," she said, concluding "the jury was distressed by the company's conduct."